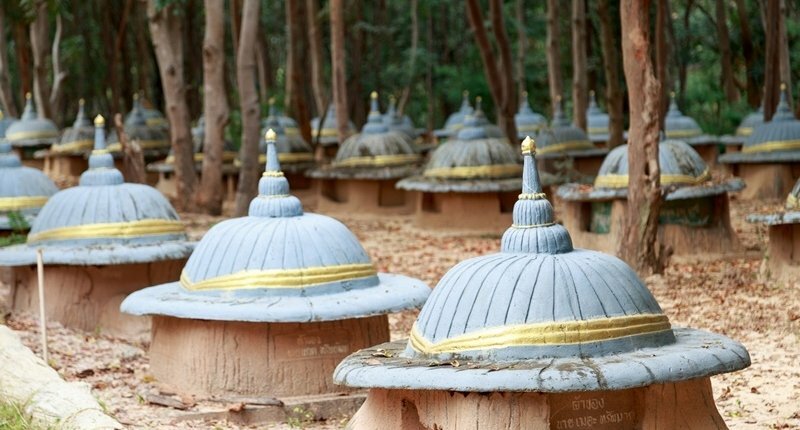 Surin province, located in the northeastern region, also known as “Isan” in Thai, is well known for its long history with elephant husbandry. 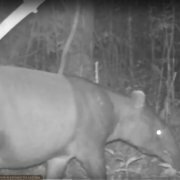 It is estimated, that about 25 percent of all the elephants in the kingdom are raised in Surin, predominantly by the ethnic Kuy people. 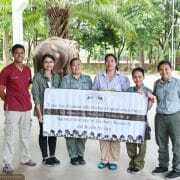 Nowadays, according to the vets at Surin Elephant Hospital, there are about 1,000 domestic elephants registered in Surin province and some elephant owners have as many as 30-40 elephants. 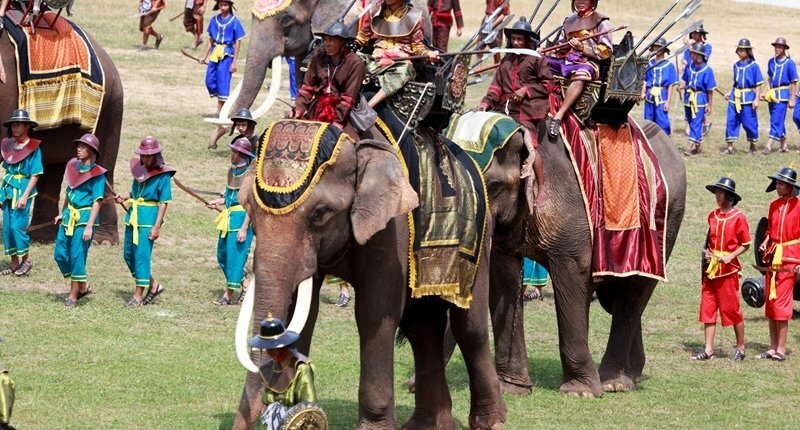 Elephants are an extremely important part of Surin and a source of pride to the Kuy people. 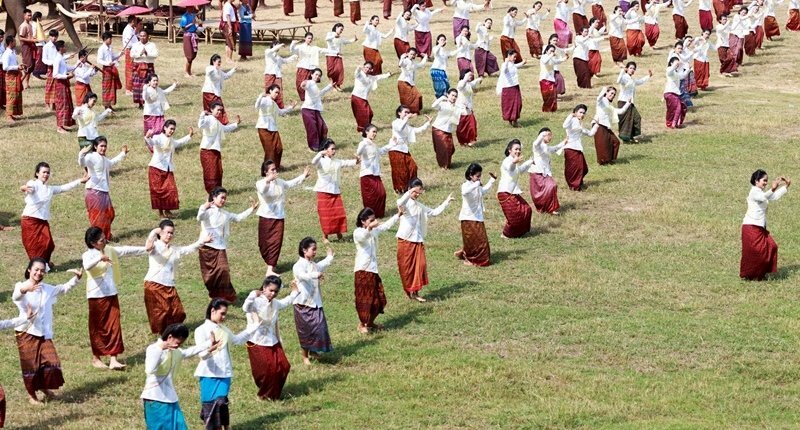 For this reason, elephant-related events, such as Thai Elephant Day and the Surin Elephant Round-up are greatly celebrated annually. 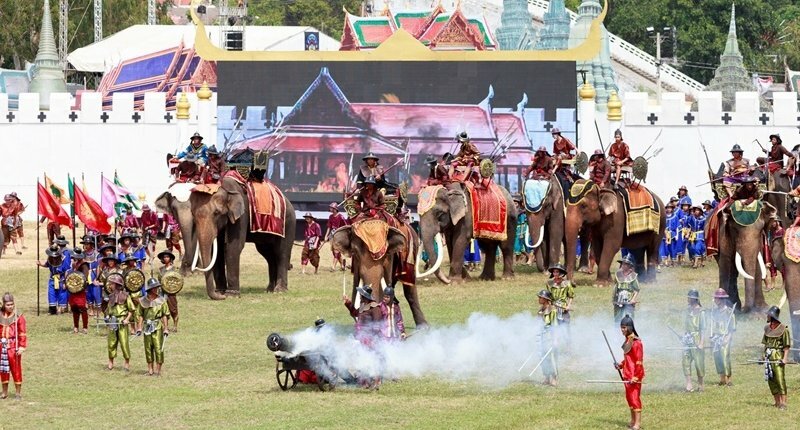 The festivals include light and sound shows describing the legends of the Thai elephants. 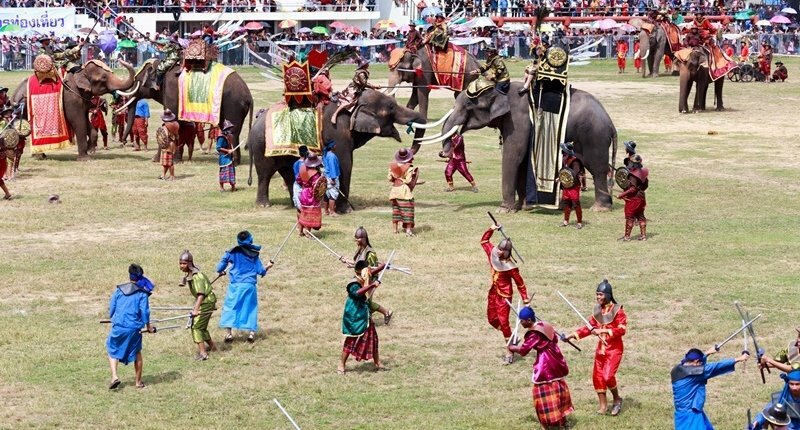 Furthermore, there is a fair at Si Narong Stadium featuring parades, floats, contests and demonstrations of elephants used in war battles over the centuries. 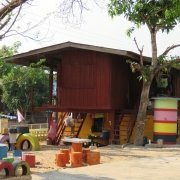 Most of the elephants in Surin, as well as their care takers; the descendants of the Kuy ethnic group can be found in the Baan Ta Klang village. Owing to the large number of elephants in the village, frequent health checks and treatment visits are essential. Consequently, the hospital vets are often on the move with their mobile clinic. 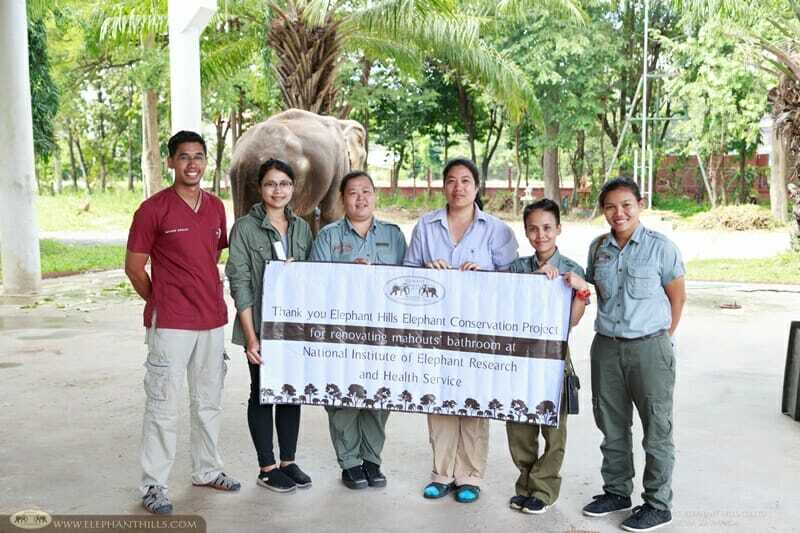 Each year we welcome a group of elephant vets from Surin Elephant Hospital to our elephant camp in Khao Sok. We also keep in touch, share information and receive essential consultation from the vets in the hospital. 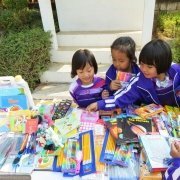 Hence, it was amazing that we finally got to visit the team in Surin. 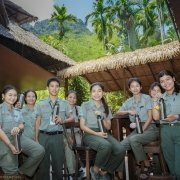 Our Elephant Conservation Project helps Thai elephants, both wild and domestic populations, and we were very pleased to be able to support the Surin Elephant Hospital. 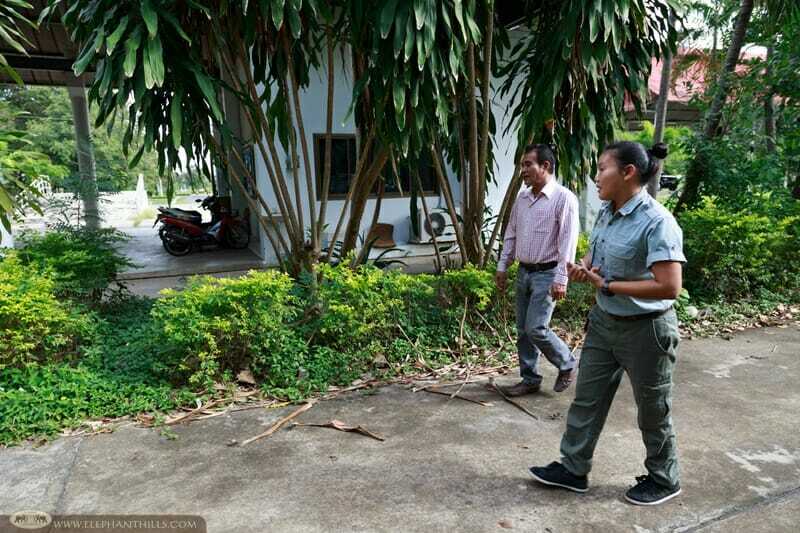 We spoke with the head veterinarian, Dr. Pat prior to our visit, and found out that the mahout facilities, especially bathrooms need urgent renovation. When an elephant is being admitted to the hospital, the mahouts play a vital role in the elephant’s treatment and recovery process. The mahouts help to move the elephant as requested by the veterinarians and keep the elephant calm and still when being treated. 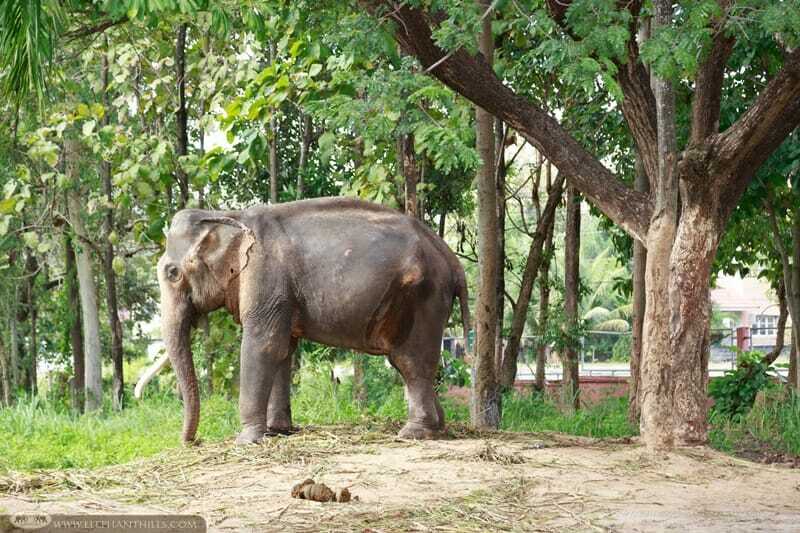 As always, the mahout is also responsible of the elephant’s food supply when staying at the hospital. 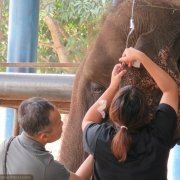 Therefore, it’s no surprise that when an elephant is being admitted, the mahout stays with it in the hospital pretty much around the clock. 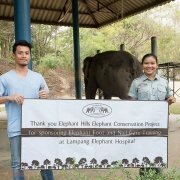 The vet team was very grateful and pleased to receive support in a form of construction material from Elephant Hills Elephant Conservation Project. With this material they will be able to significantly improve the facilities for the mahouts staying at the hospital accommodation. We would like to thank our wonderful, elephant-loving guests who have contributed to our Elephant Conservation Project! 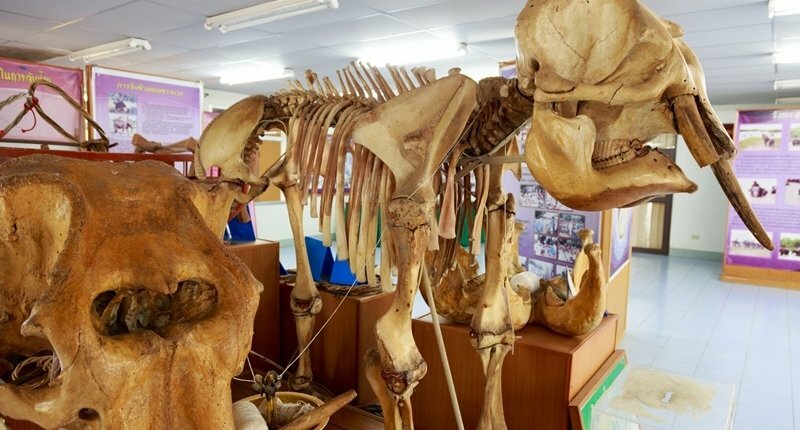 We are currently looking for partners to help us to support this and other government run elephant hospitals in Thailand.